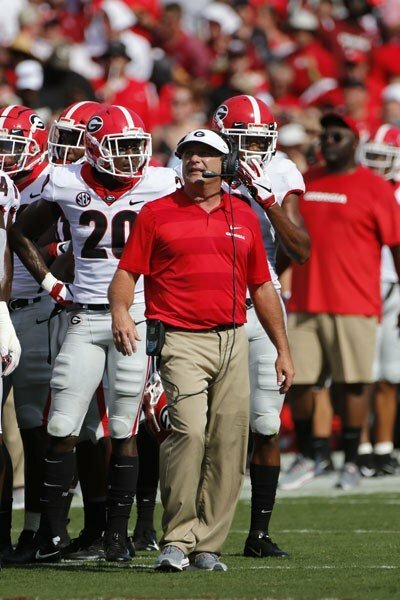 ATHENS, Ga. — University of Georgia head football coach Kirby Smart, along with several players, previewed Saturday’s game against UMass. They offered the following comments during Monday’s media session. “I think the tempo of play sometimes speeds up. I also think defenses, a couple of the games you’re referencing, they played us differently. Sometimes defenses change during that time because they know the pass is imminent. When you have the threat of run and pass, especially against us, it makes it a lot tougher to defend, and Jake (Fromm) has done a good job managing the clock. “I’ve spoken on this before as far as playing non-Power 5 teams. I think there’s two ways to look at it, you know. If attendance becomes a problem or continues to be a problem, which we haven’t had a problem here at the University of Georgia, but across the nation, sometimes people are saying attendance is on the decline. I think it’s important that you play quality opponents, but I also think, having coached at lower division levels, it’s important to their programs to be able to finance their programs. On the announcement of future home-and-home games with Texas and Clemson… “We’re excited. I mean I think when you come to the University of Georgia you want to play against the best. I’ve always believed in playing Power 5 opponents. Our fanbase will follow us anywhere. They want to go. We proved that last year. We’ve proven that over the history of time that the Georgia people will travel. They want great games. They want home-and-homes. And as a coach, I know going out recruiting, it helps. The College Football Playoff has proven that they want strength of schedule. They want you to play good opponents. Who knows what the system will be 10 years from now. It certainly could all change, but I would argue that the better schedule you play and the better teams you play against, the more rewarding it’ll be 10 years from now. “I feel better. I think we have really worked on it. I think when you try to emphasize something, you get what you demand a lot of times, so we’ve certainly worked really hard to sure up those areas through technique, fundamentals, going against a pretty good run team in our offense. “All of them. Every position on our team – every week, inside backer, every week, outside backer, probably more the second and third at the outside backer than the first. But defensive line. We’ve had changes in defensive line, and you all don’t write about who starts there, but we’ve had a lot of changes there. Secondary – we’ve had a lot of battles at safety, and rotating the dime, nickel and star. “We work really hard on it. And I think (special teams coordinator) Coach (Scott) Fountain and his staff of guys that help him with special teams have done a tremendous job. Our kids are committed to special teams. I try to make it the most important thing of the game, because I really think it’s a selfless part of the game where guys don’t get a lot of credit. I mean (punt/kick returner) Mecole (Hardman) gets credit, but the guys that are doing all the work up there don’t get a lot of credit. So we say it’s not for yourself but for others when it comes to special teams. And they’ve bought into that. Now, statistically – we’re not really where we need to be, like on kickoff coverage, but it’s very misleading because of Rod’s (PK Rodrigo Blankenship’s) leg strength and his ability to get touchbacks, and the same way with punt coverage. We haven’t hit a lot of great punts, but we haven’t had a lot of return yards against us because our gunners are good. We’re good in both return units, and that’s thankful to Mecole as well as some guys that are committed to it. We do a composite at the end of the year that tells us where we rank across the board. We don’t do it throughout the season, but we do expose our players to where they are in the SEC and where they are in the country in terms of special teams.